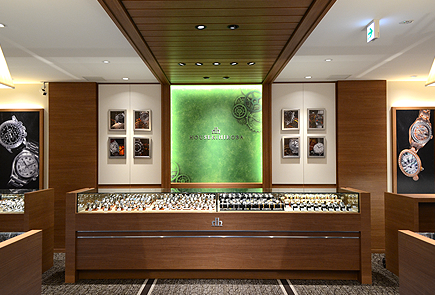 In our shop at Shibuya, Tokyo, we have a large selection of watch and jewelry. WE BUY AND SELL. TRADES WELCOME !! We buy preowned watches at quite fair market prices and sell almost every kind of them. If you have a watch you might like to sell,please let us allow to give you an estimate. 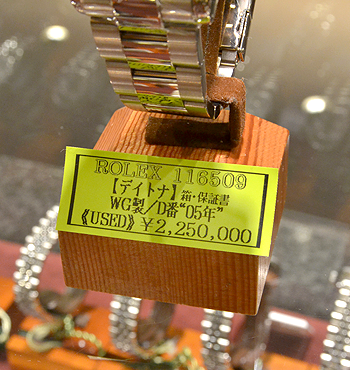 We offer even better deals and estimates with watches purchased from Housekihiroba. 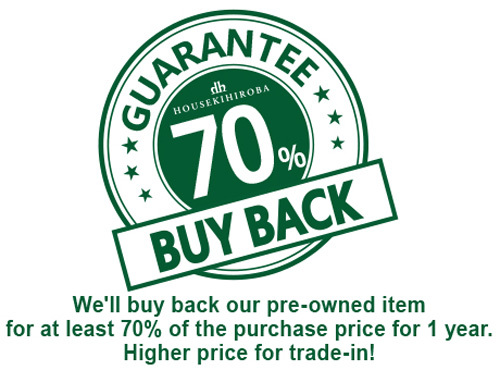 IT IS 1 YEAR GUARANTEED that we will offer more than 70% of the amount you paid for. 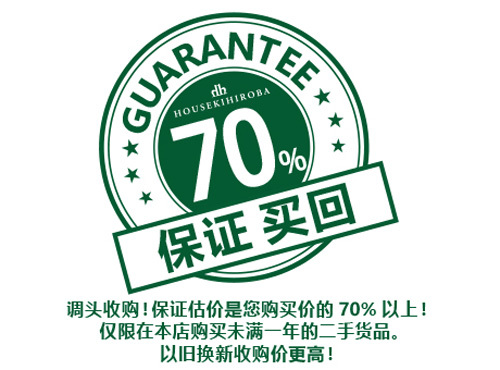 Housekihiroba provides a chance for foreign customers to purchase precious branded products in a reasonable price. you are eligible to purchase items without the 8% consumption tax. Tax exemption takes place right at the store, and no handling charge is needed. You can make a payment by credit cards such as VISA, MASTER, JCB, AMERICAN EXPRESS, DINERS, Alipay,银联 and WeChat Pay etc. at Housekihiroba. *The name on your passport and credit card must much. *There are products that can only be paid by cash. 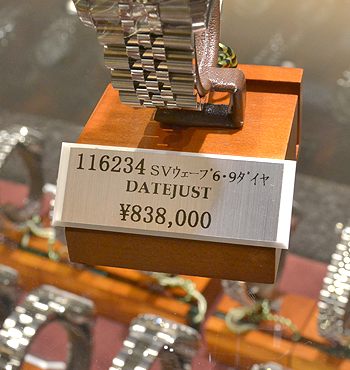 More than 5,000 items of jewelry and watch are available at Housekihiroba. We would help you to find and meet items you want. In our shop, translation service is available. HOW TO SHOP TAX-FREE Please follow the steps below. Choose whatever you want. The prices of our goods incluede 8% consumption tax. 40,000JPY will be the tax-off price. credit cards and UnionPay (no extra charge needed). * We now also accept WeChat payment. Show your passport to us. 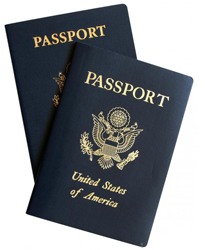 We'll check the passport and visa, and make a copy of your passport. 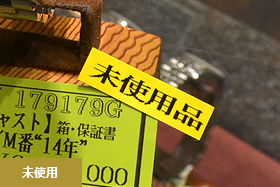 We will fill out a form called "Covenant of Purchase of Consumption Tax-Exempt of Ultimate export". date of landing, and passport and visa details. Tax-Exempt for Export" to your passport and affix a bridging seal on it. *The form states you did a tax-free purchase and the item will only be used outside of Japan. collected by the clerk at Customs. *Please do not take the paper off from your passport by yourself. “I purchased it but it wasn’t as I expected” “I want to sell my watches and jewelry that are recently purchased” etc. 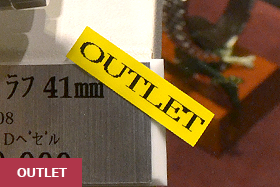 We offer this service for our patrons who want to enjoy watches and jewelry wisely. Precaution. The service guarantee will not be applied to the following cases even within 1 year. 3.If you have not returned to your home country after purchasing the item with tax exemption. 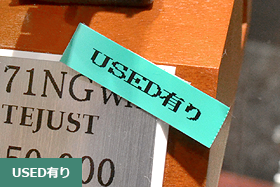 * Items cannot be sold without leaving Japan once. 4.When there is defect or damage due to careless or inappropriate handling. 5.When there is damage on the outside such as case, strap, or glass. 6.When stones are missing or special material is damaged due to inappropriate handling. Regarding the stores using the name "HOUSEKIHIROBA" without permission. 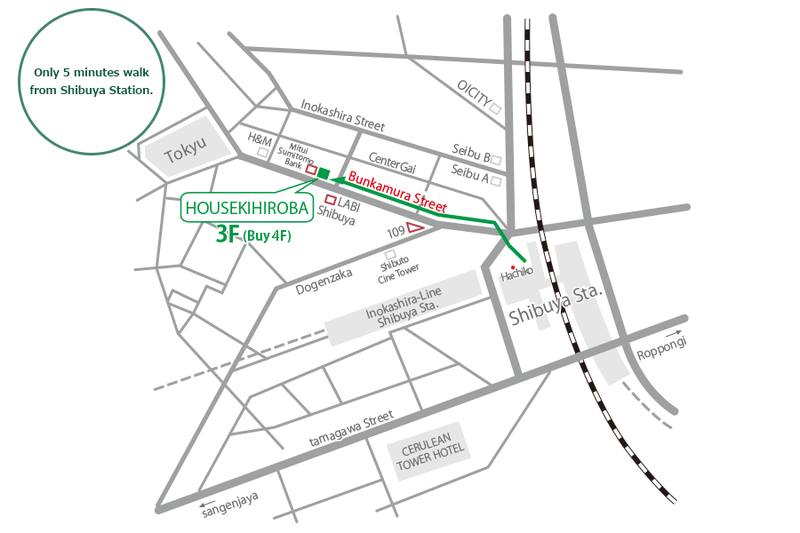 We have two stores, Shibuya and Shinjuku in Japan. Unauthorized use store in Hong Kong is irrelevant from our company. 【An actual case】 The store which is using the name of our company without permission in Hong Kong. It is irrelevant with us. Please be careful. Business card is provided from above the store, the card is also irrelevant from us. 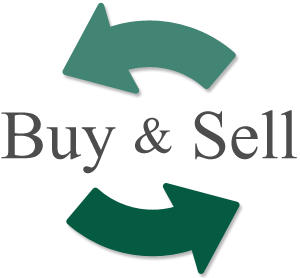 There are malicious website which is reproducing unauthorized copying and replication of the contents of our site, text, and images. The spoofed website shows "HOUSEKIHIROBA", however, those sites are irrelevant to us. Please confirm the URL carefully. The domain(address) we are operating is as follows. 풍부한 상품 컬렉션을 갖추고 있습니다. 일본 최대의 폭 넓은 상품 라인업을 전개하고 있습니다. 면제 - 면세 쇼핑을 즐기시기 바랍니다! 구 입 및 판매. 교환 환영!! 저희는 중고 시계를 매우 공정한 시장 가격으로 매입하며 거의 모든 종류의 시계를 판매합니다. 팔고 싶은 시계가 있다면 저희에게 견적을 의뢰해 주시기 바랍니다. 호세키히로바에서 구입한 시계들에 대해서는 더 좋은 조건으로 견적을 제공합니다. 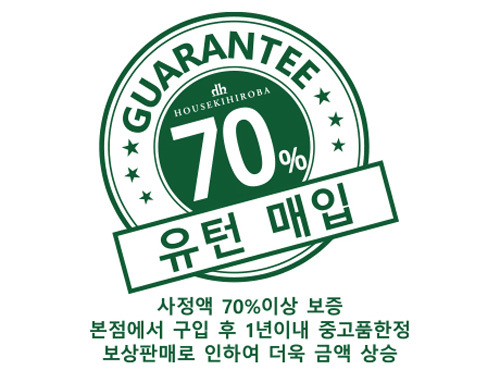 구입 후 1년 이내에는 지불한 금액의 70% 이상을 보장합니다. 가치 있는 브랜드 제품을 구매하실 수 있는 기회를 제공해 드립니다. 단기체류 비자의 여권을 가지고 오시면, 소비세의 8% 세금을 면제해 드립니다. 면세는 판매점에서 바로 적용되며, 별도의 수수료는 들지 않습니다. Housekihiroba에서는 5,000점 이상의 주얼리와 시계 상품을 구비하고 있습니다. 고객께서 원하시고 고객께 어울리는 아이템을 찾으실 수 있도록 도와 드립니다. 시부야역에서 도보로 약 5분 거리로 가깝습니다. 아래의 순서로 따라 해 주세요. 면세 쇼핑하는 방법: 아래의 절차를 따라해 주세요. 신용카드와 UnionPay(추가 요금 없음)를 이용하실 수 있습니다. *여권의 이름과 신용카드의 이름이 동일해야 합니다. 입국 공항(항), 입국 날짜, 그리고 여권과 비자의 정보입니다. 그 위에 연결 봉인을 부착합니다. 해당 상품은 일본 이외의 지역에서만 사용하셔야 합니다. *자신이 직접 여권에서 서식 서류를 분리하지 마시기 바랍니다. 본점의 단골분들만을 위한 특별한 시계・보석 장식품을 현명하게 즐기는 서비스 입니다. 주의하기시 바랍니다. 다음과 같은 경우는 1년이내라도 서비스 보증 대상에서 제외됩니다.